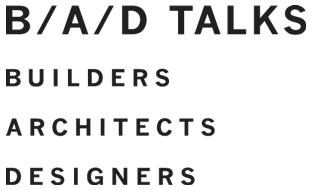 B/A/D TALKS: A community effort that encourages engagement and conversation among builders, architects, and designers. Each event will include a compelling and compact talk with Kyle Hoepner as moderator along with panelists who are leaders both in our industry and beyond. Transformational, inspirational, engaging talks accompanied by delicious appetizers and beverages.